Happy Spring my friends! 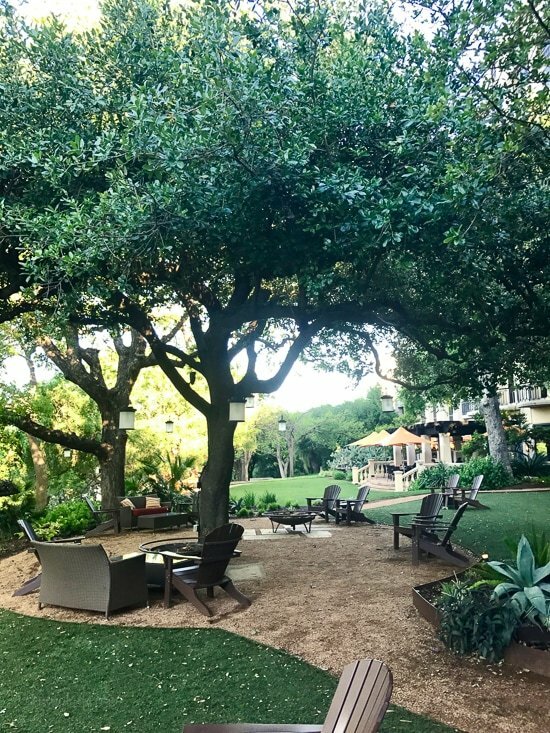 It’s been a crazy busy week, I was at the Indulge Conference in Austin, TX and stayed at the Four Seasons. We ate breakfast there every morning, I had my first sweet, juicy Texas grapefruit! When I wasn’t at the conference, the only thing on the agenda was to eat in as many great restaurants as we could in the short trip there. The first place on the list, of course was Torchy’s Tacos – a must for tacos and they have the BEST queso! I need to go back to try everything on the menu. A few other great restaurants that are a must if you visit: La Condesa and Elizabeth Street Cafe. Such a great city, and so many more places I want to try. Back to meal planning. Meal planning is a great way to get organized before heading to the supermarket to get ready for the week! 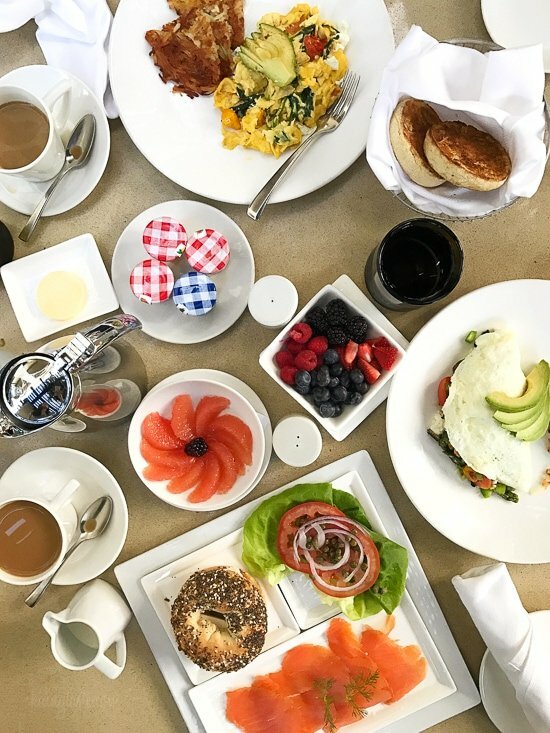 My breakfast is usually something quick like eggs with fruit, a smoothie or avocado toast. We’re a family of four, so if a recipe serves more, it’s either packed up for everyone’s lunch or eaten the next day as leftovers. 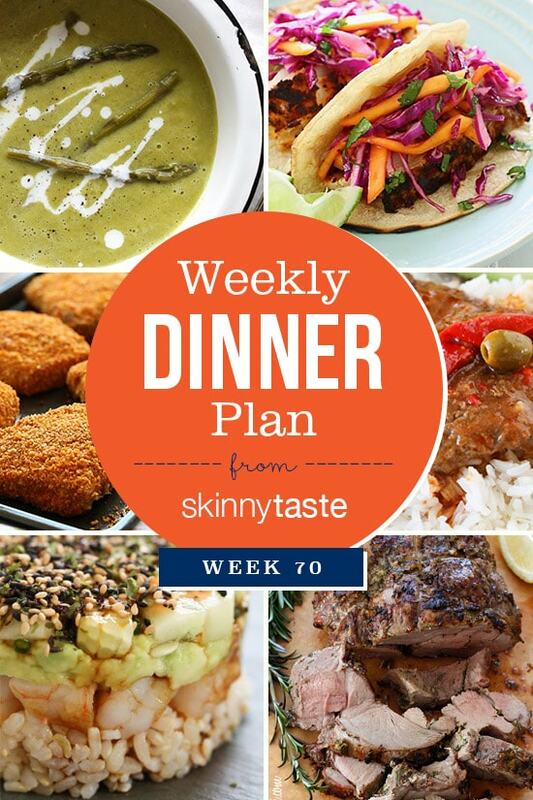 If you would like to see some of the previous week’s dinner plans, click here. Have a great week! Monday: Cream of Asparagus Soup with grilled cheese. Texas has the BEST fruit. But I grew up here so I am a bit partial. 🙂 Glad you came to visit. Austin is beautiful. Thank you for your weekly menus. Sometimes, I just come here and it is all planned out and so easy. I am amazed that you post this for free Gina. Such a gift. Have a great week! Thank you Shannon! I loved visiting Texas! OH those Texas ruby red grapefruit are delicious! Next time if you can go a short distance out from Austin, The Saltlick has the best bbq. Glad you enjoyed Austin. We are so lucky to make it our home! My family loves your recipes and I love your cookbook. Thanks for doing what your do! On your next trip back to Austin, be sure and try Taco Deli. THOSE are the best breakfast tacos!! Glad you enjoyed your visit. Glad you had fun! The food here is so good.